While I missed reporting any news for the month of November, I am prepared to share the news I’ve found interesting for early December (mostly December at least). First off, there are a lot of holiday options (Christmas and New Year’s) available in Texas State Parks, and I am hoping to experience a few. Also, if you live in the Bastrop area, Texas Parks and Wildlife Department needs volunteers. In national news, national park fees could be increasing in 2015 and learn more about the graffiti found in 8 parks. Or you can check out our previous news reports. Just updated: the City of McAllen is preparing for the largest parade in the area. As we near Christmas, TPWD will host 50+ holiday themed events during the month of December in over 40 parks. There are a multitude of events from hayrides to hot coco and Christmas lights. The holiday’s brochure can be found here, so have a nice holiday at a park. Looking even further ahead to New Year’s Eve and Day, TPWD is participating in the First Day’s Hike initiative (an initiative to help people get a healthy start to the New Year). 67 Texas state parks are having hikes. The majority of hikes will be on New Year’s Day, but for the adventurous, there will be a few on New Year’s Eve at midnight. You can check out the complete list of hikes here. 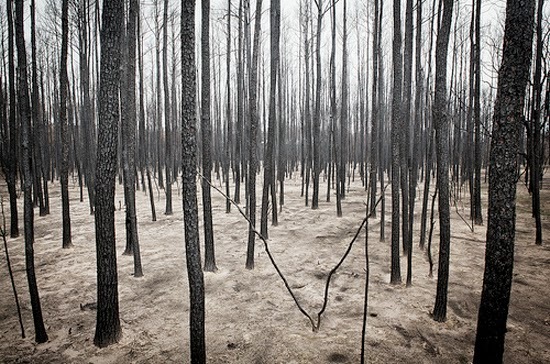 In 2011, wildfires destroyed 96% of the “Lost Pines” forest in Bastrop State Park. The park is located 30 miles south of Austin, TX and I spent a few summers there at Boy Scout summer camps. TPWD and others have begun reforesting the Lost Pines forest and plan for a total of 40,000 volunteer planted trees. To do this TPWD needs your help in 2014 and 2015. As someone who enjoyed the area in their youth, I’d like to ask you to volunteer if you are able/in the area. To volunteer just head here and sign up. In NPS news, over 130 national parks have been given approval to increase annual passes, admission fees, and campsite fees in 2015. While at first I was disappointed in the price increase, but after thinking about it for a bit, I’m fine with it. The NPS has stated one reason is that there critical infrastructure projects that need funding. The second reason is to prepare the parks for the 100th anniversary in 2016. Even with price increases of 50%, national parks are still a bargain for a vacation compared to other places. Plus, the extra funding will go into making the parks better than ever, so money well spent. In other NPS news, albeit late, Instagram user creepy tings (now deleted) traveled to 8 different national parks and used acrylic paint to leave graffiti in each of the parks visited. The story was released on Modern Hiker and is still being updated. The NPS is working to find out more and to remove the graffiti, but the work is slow. The City of McAllen is planning the largest parade in the Rio Grande Valley on Saturday December 6th. The fun begins with a Tamale Fest at McAllen Park beginning at noon, then a kid’s fun run at 4 pm, and followed by a Candlelight Posada at 5:15 pm. Finally, the parade will begin at 6 pm and is going to have over 13 helium balloons. Some of the balloons will be over 60 ft. tall. Even better, multiple celebrities will be in the parade as well. If you are in the RGV area, you have to check this it. I bet it’s going to be a blast! Have you heard any new outdoor news? Then go ahead and share it! Plus, If you like the blog, go ahead and follow us on Facebook. I hope they find the person responsible for the grafiti and throw the book at him...or better - make him clean it up! The person who did it contacted the NPS and has been named a suspect, but that's it so far. Hopefully they will be able to clean up the mess.